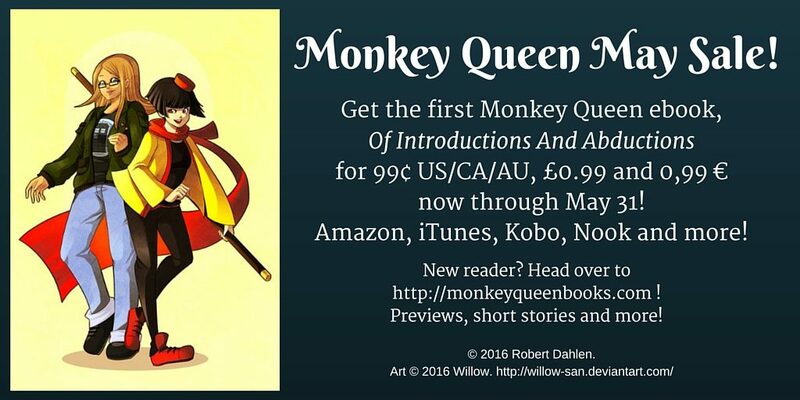 I’m pleased as punch to be taking part in the latest promo arranged by author Patty Jansen! 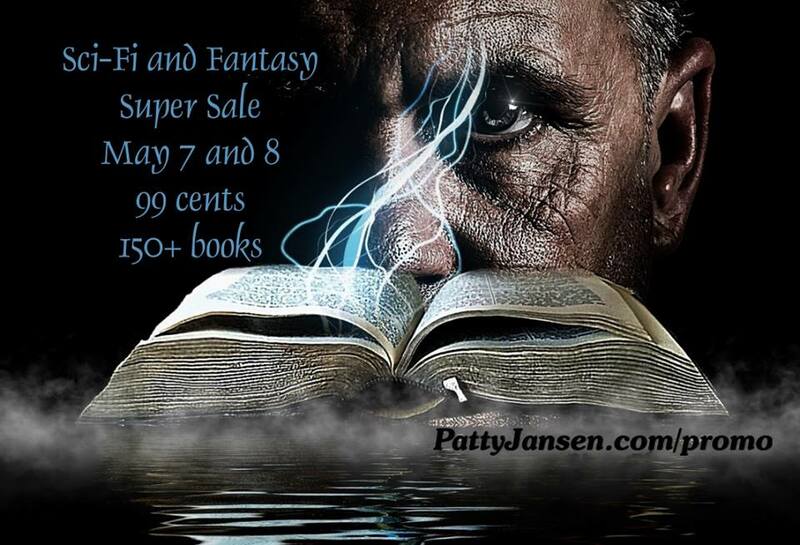 May 7 and 8 (and already, in many cases), over 150 ebooks and box sets are marked down to just 99 cents US! 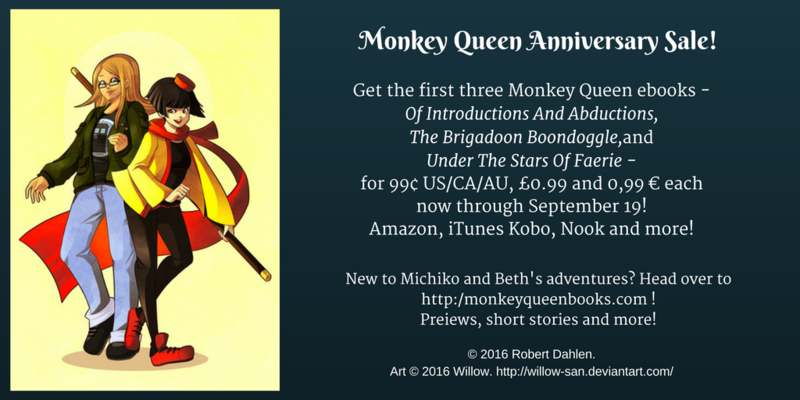 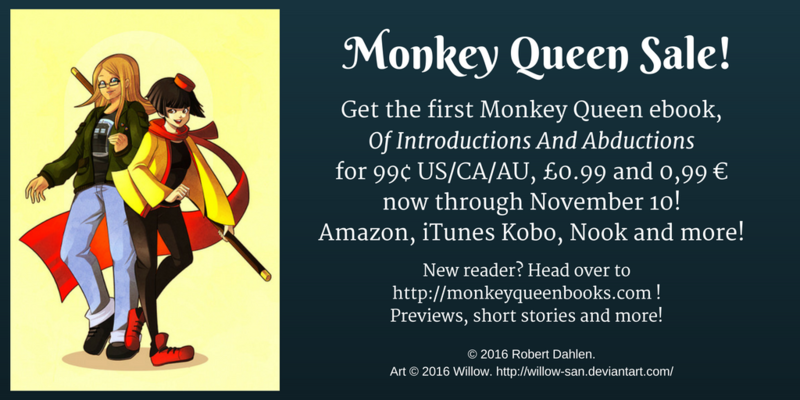 (And if you’ve forgotten, one of those ebooks is the first Monkey Queen book, Of Introductions And Abductions!) 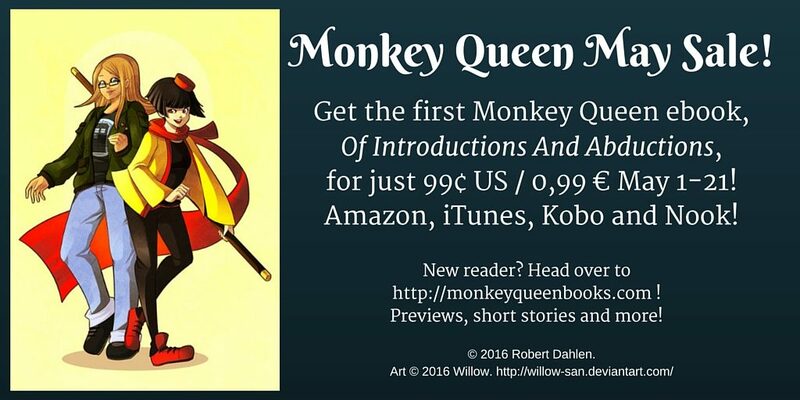 Click here to go to Patty’s site and find some great, cheap reading!